experience on this lifestyle estate in Paarl. Check-in is at 11am, check-out is at 5pm. Each of the 10 La Bella Vita bespoke studios are a hideaway for hibernation or base for winelands adventure. And the fact that you can pick a studio that matches your personality – or your mood even – makes them extra special. 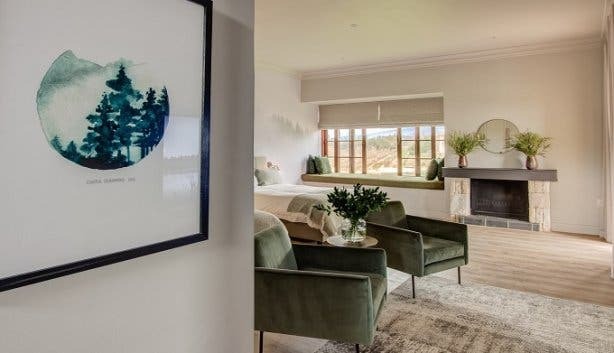 It’s an opulent estate where you can draw in the drapes to read, sleep and recover or simply gaze out the window towards the river and mountain peaks. You’ll be delighted by the details in each studio, down to the welcome basket: the bread, sourced fresh from Babylonstoren, wines from neighbouring farms and cheeses from Dalewood are picked to complement the studio. See also if you can make out the individual scents in each studio. Each studio also donates 3.5% of its annual profits to a different charity. The Ebony Studio will envelop you in its comforting darkness. 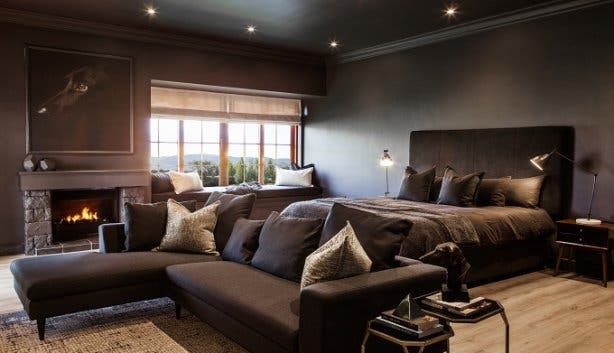 This is a statement space, with a charcoal L-shaped sofa, saturated in dark hues and velvety textures. There are hints of gold and purple that will make you feel like royalty. Or pick it simply because you appreciate design, or as, one photographer admitted, “because it matches my Instagram feed”. For solo singles who want to commune with nature, the Misty Forest and, Rhino and Mare studios are a fit. We suggest you: Bunker in, but also get out and explore the vineyards on a bike (offered for free). Or book a spa package at the adjacent Sante Wellness Retreat. 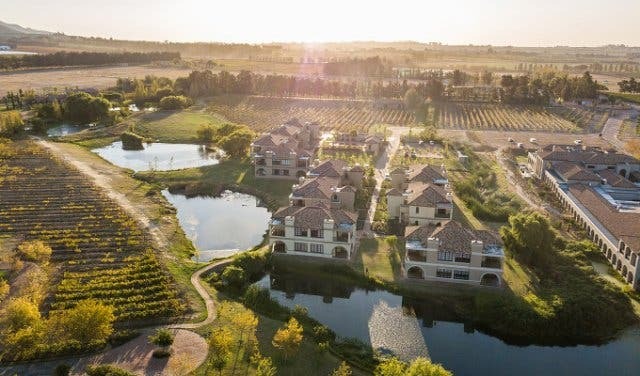 La Bella Vita is the idyllic accommodation to enjoy luxury and connect with friends without feeling smothered. The studios, each with adjoining balconies and kitchenettes, are close but private. La Bella Vita is where you book your mom in for Mother’s Day and you and your friends check in, say for a girl’s getaway. Women will appreciate Blush Studio. It is after all inspired by feminists (donations go to Reach for Recovery, a breast cancer support group). The feminine feel of Blush is followed right through, from the pink cutlery and dinner set. If your entourage is looking to have similar rooms, Simply Serene, Hush and Haven studios, with subdued hues of beige, browns and whites and wool throws and cushions, compliment Blush. We suggest that you: Kayak, cycle, jog, swim if you’re not cocooning. There are enough group activities on-site. There are 10 studios so you could book them all for your wedding guests, especially if you are planning a small, intimate do. And because La Bella Vita is self-catering, you and your guests won’t be tied to set meals. The grounds, shadowed by the mountains and with a lake running through it, are picture perfect. Brides will love the nudes and whispers of pink in the Blush Studio. Grooms tend to gravitate towards the Rhino Studio. 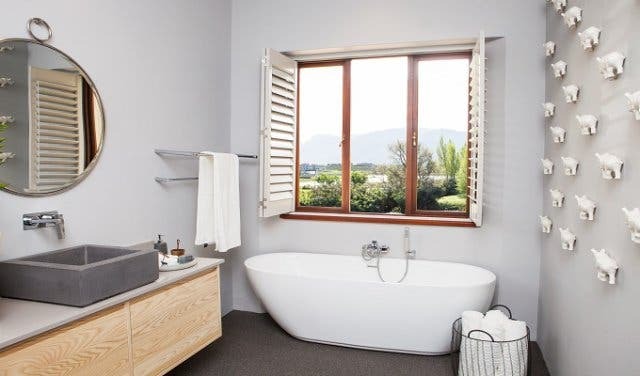 It’s pared down, from the wood floors and log bedside tables to the grey bedding and bathroom sink. The room is popular with international guests, too. With its Rhino hide wallpaper, and porcelain white rhino statuettes on the bathroom wall, they find it the most African (part of the profits benefit the International Rhino Foundation). We suggest you: Make this your winter wedding destination. It’s got all the cosy comforts of winter accommodation and the setting for amazing pictures. 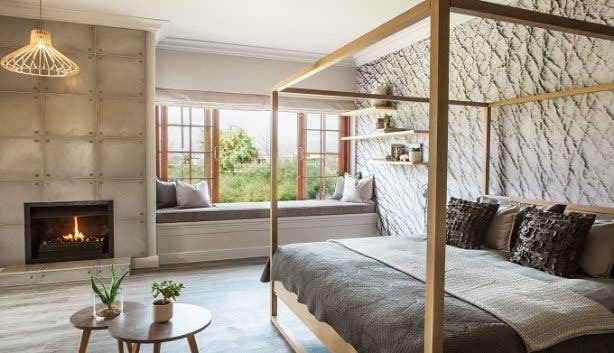 You never have to leave your room, in fact, most couples who’ve booked the studios don’t, says Melissa van Niekerk, who is in charge of marketing. Each of the studios has the romantic escape staples. They are large enough to live in for a few days, sizable beds and baths (the estate has boreholes, so is little affected by the water restrictions), lavish upholstery, bay windows from which to nap or soak up the sun or simply enjoy the view of the Simonsberg Mountain, and they have fireplaces. Haven Studio has a hanging pod to cocoon in and a white cotton cloth draped sensually above the bed. 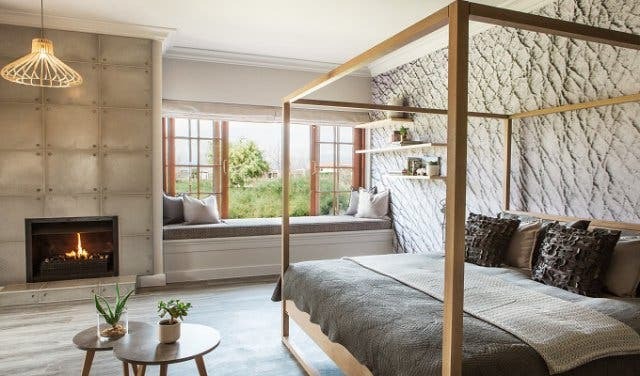 Rhino Studio, has a four-poster bed, while Mare Studio, for those with a passion for horses (it benefits the Cart Horse Protection Association), has wild stallions galloping away as wallpaper, horse head towel hooks and animal themed books. We suggest you: Stay in and reconnect and recover, while you enjoy the basket full of hearty bread, cheese, preserves, fruit and wine that come complimentary. At La Bella Vita the kids (they have to be 12 years or older) will be near, but everyone will still enjoy a break because though the suites are a door-step away or just up the stairs, there is privacy. Imagine gathering for a wedding anniversary or milestone birthday. You can be first to pick the room of your choice, but there’s no such thing as a better room, each studio is exquisite. Misty Forest (donates to Greenpop, whose mission is to green the planet with trees) has a wallpaper backdrop of trees in a foggy forest so realistic you can almost smell the moss. Earthy motives are everywhere – brown cushions with leafy embroidery throws of gleaming lush greens, a side table made of wood next to the olive green chairs. We suggest you: Make it a weekend-long break this winter, because if you book two nights, (for Friday and Saturday) you get to check out at 5pm the Sunday. This special lasts until the end of September. 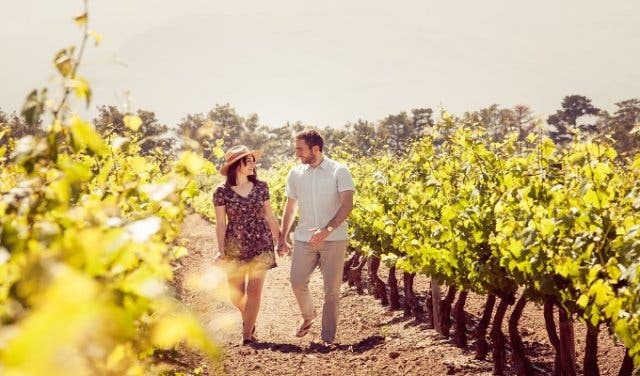 Plus it's just 50 minutes away from the city and 20 minutes from either Franschhoek or Stellenbosch. 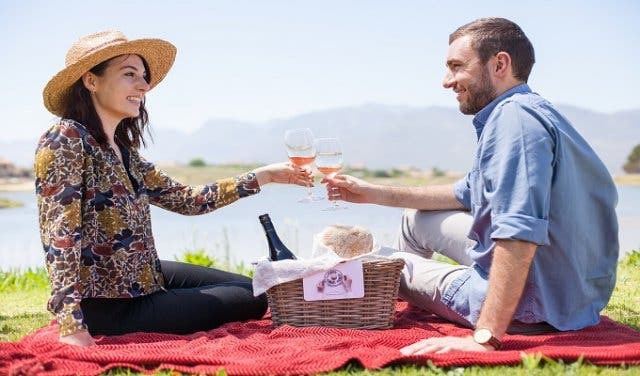 If you're still shopping around, here's an overview of accommodation specials around the city, as well as romantic accommodation and winter weekend accommodation.